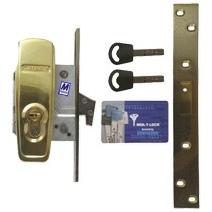 Ingersoll Security, always at the forefront of technological principles, combining shear physical strength with secure key mechanisms - The London Line. Open Shackle, Close Shackle & Enclosed Shackle. 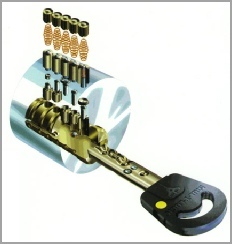 Originaly made by Ingersoll, a new version with a longer bolt throw and using the same key. For all past Ingersoll products. 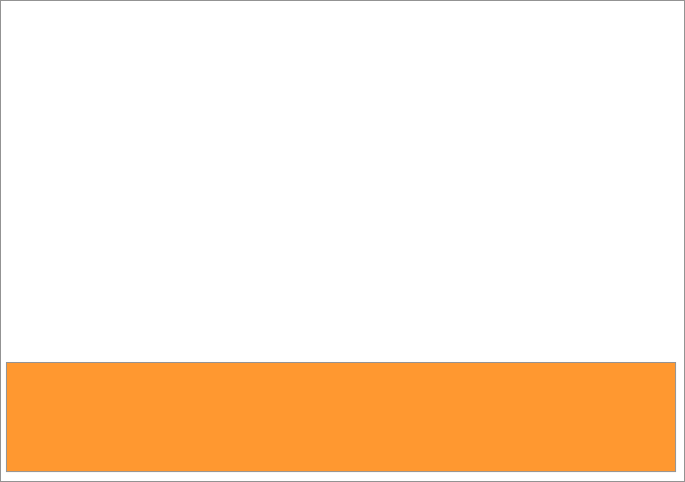 for more details, prices, or to order with your card. 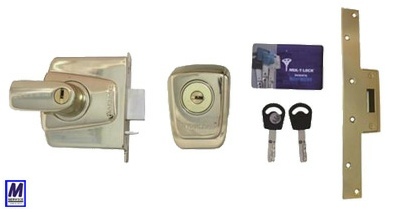 Upgrades most ordinary nightlatches. Auto slam action deadlocking feature. 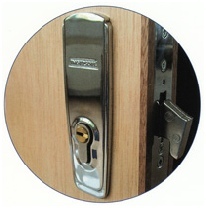 Security Escutcheon. Large Robust Strike. 20mm Bolt Throw. Retrofits with popular similar sized products.A Cylinder that is mounted through the door and incorporating a patented cylinder system. For wooden doors. 20mm single throw drill resistant bolt & tamper resistant case. Available in Brass or Chrome finish.